Is There Alimony In Indiana? Technically, there is no alimony in Indiana but there is “spousal maintenance”. Unlike some other states, Indiana does not recognize traditional “alimony” and the award of spousal maintenance in Indiana is limited. Before the adoption of the Dissolution Act of 1973, Indiana courts were expressly authorized to award “alimony” in divorce decrees, if the award would be “just and proper.” But the purpose of such an award was to settle property rights, not to provide for spousal support. In the Dissolution Act of 1973, Indiana edged away from the strict policy against spousal support or spousal maintenance. For the first time, courts were expressly authorized to award spousal maintenance. Nevertheless, the authorization was quite narrow. While this article addresses the specific divorce subtopic of spousal maintenance in Indiana, I have written an article explaining the divorce laws in Indiana and the Indiana divorce process in general. That article may answer some of the other questions you may have about divorce in Indiana. What is the Difference between Spousal Maintenance and Alimony? Not much. In reality, “alimony” is a much older word that has been phased out in favor or “spousal support” or “spousal maintenance” depending on in which state you live. Indiana uses the term “spousal maintenance,” while other states use their own term and have their own rules regarding alimony or spousal maintenance. Is Spousal Maintenance or Alimony in Indiana Different from Child Support? Yes. While child support paid to an ex-spouse is for the benefit of a child, the purpose of spousal maintenance or alimony in Indiana is provide financial support directly for a spouse. In Indiana, Spousal Maintenance is deductible for the person who pays it and considered taxable income for the person who receives it. Conversely, in Indiana, Child support is not considered taxable income to the parent who receives it and is not tax deductible to the parent who pays it. Who makes the decision to award Spousal Maintenance or Alimony in Indiana? Unless the parties agree to it themselves, the award of spousal maintenance in Indiana is within the discretion of the court where the divorce is pending. In other words, absent an agreement, it is totally up to the court. If the court awards spousal maintenance without agreement of the parties, the other spouse can appeal the award of spousal maintenance. If the court denies a spouse maintenance, that spouse can appeal that denial. However, the Court of Appeals will only overturn the trial court’s decision to award or deny spousal maintenance if it is clearly against the logic and effect of the facts and circumstances before it. Generally, that is a pretty difficult standard to defeat. Have questions? Contact us. When will a Court order Spousal Maintenance or Alimony in Indiana? Where a spouse needs support while acquiring education or training to get a job. Where none of these circumstances exist, a court may not order maintenance without the agreement of the parties. This policy reflects a clear legislative intent to retain fairly strict limits on the power of courts to order maintenance without the consent of the parties. Indiana Code 31-15-7-2 is the statute the addresses spousal maintenance. Let’s examine the language of the statute and the three scenarios where a court could order spousal maintenance. Therefore, in order for a court to award this type of maintenance, a spouse would have to offer evidence that he/she is physically or mentally incapacitated and cannot support themselves. There have been numerous Indiana cases interpreting this provision. Here are some examples of decisions by the Court of Appeals regarding the trial court’s granting or denial of incapacitation spousal maintenance. The Court of Appeals held that maintenance may be awarded to one spouse who is incapacitated even though the other spouse also is also incapacitated. The Court of Appeals held that spousal support was properly awarded to a wife in a marital dissolution action because the Social Security Administration had found her to be disabled. The Court of Appeals decided that the denial of the wife’s request for incapacity maintenance was not clearly erroneous because, although she had physical limitations and received disability payments, there was evidence that she was college-educated, that she had recently provided child care for pay, and that her limitations would not entirely preclude sedentary work. The Court of Appeals decided the evidence was insufficient to support the trial court’s award of incapacity maintenance to the wife because although the wife testified that she had back pain, she did not offer any medical testimony or other evidence to support her assertions that her physical condition precluded her from working and supporting herself. In another case, the Court of Appeals held that maintenance was properly denied although the former wife claimed she was physically and mentally incapacitated as a result of both her panic disorder and agoraphobia, since she acknowledged that medication sufficiently controlled her panic attacks, she had recently coordinated the remodeling of her home by driving, being in public, and entering the marketplace, contrary to agoraphobia symptoms, and her doctor acknowledged that medication controlled her panic disorder. Where the wife sought maintenance based on an alleged incapacity for employment stemming from an injury to her back, the trial court was well within its discretion to insist on medical testimony, particularly when the alleged incapacity was based on a specific medical condition for which the wife was under treatment. The scenarios where a court may grant or deny spousal maintenance in Indiana vary greatly. If you have questions regarding a potential Court award of spousal maintenance, feel free to contact us for a free consultation. The “And” is important here as this provision does not award spousal maintenance to a spouse who just lacks sufficient property to provide for their own needs. Rather, that spouse must also be a custodian of a child who requires a caregiver. In one case, the Court of Appeals held that while the trial court made detailed findings that the adult son of the parties was severely disabled, that the wife cared for him, and that this substantially limited her ability to work, before it could award caregiver maintenance, it was required to consider, and make a finding, that the property award the wife received and other property or income available to her was not enough to counterbalance her limited employment prospects caused by caring for their son. Have questions regarding Caregiver Maintenance? Contact us for a free consultation. Unlike the other forms of maintenance, rehabilitative spousal maintenance in Indiana is limited to three years. Like the other forms of maintenance, the award of rehabilitative maintenance is at the trial court’s discretion. In one case, the Indiana Court of Appeal upheld the trial court’s refusal to award the wife rehabilitative maintenance. The Court of Appeals reasoned that it was not an abuse of discretion to refuse to award rehabilitative maintenance where there was testimony that wife had substantial opportunity to complete her college degree through university extension courses at various military bases where her husband was stationed, but did not do so. In another Indiana case, the Court of Appeals held that wife was entitled to rehabilitative maintenance where the record revealed that wife could not speak, read, or write English and because of her deficient language skills, she did not have a driver’s license, relied upon her children as her only means of support, and had a very limited earning capacity, unlike that of husband who owned a business. But, in another case, the Court of Appeals decided that the trial court did not abuse its discretion in denying ex-wife’s request for rehabilitative maintenance where ex-wife argued that the disparity between her and her ex-husband’s incomes, coupled with her absence from the workforce during the marriage, entitled her to an award of rehabilitative maintenance. 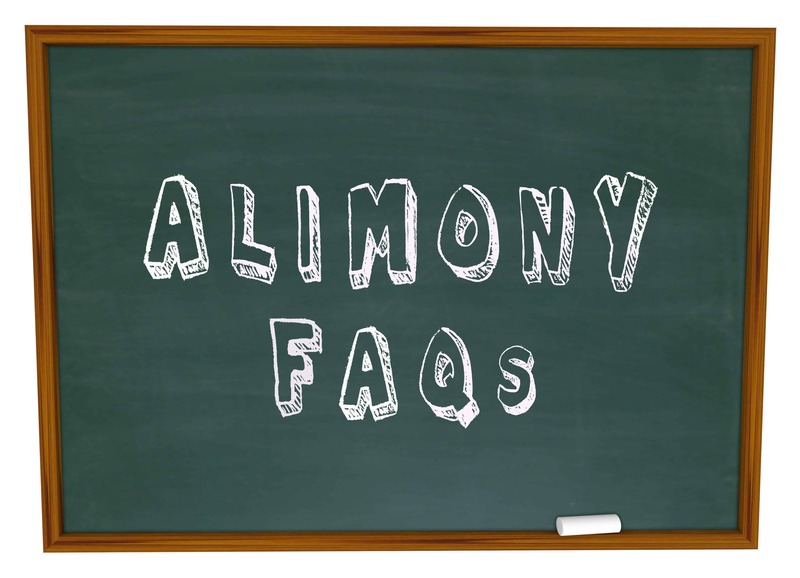 How long does alimony in Indiana last? The state of Indiana disfavors requiring spousal maintenance payments without an end date. In Kizzah v. Kizzah, the Indiana Court of Appeals held that this disapproval is supported by fact that the Indiana spousal maintenance statute only allows a court to order maintenance if a spouse is incapacitated, cannot support an incapacitated child, or needs job training for a brief time. Therefore, a trial court cannot order maintenance for the rest of a spouse’s life. However, the parties can agree to that themselves, and if the court accepts it, the paying spouse will not be able to modify this agreement unless the agreement states specifically that it can be modified. Can spousal maintenance or alimony in Indiana be modified? That depends. As noted above, if the parties agree to alimony for a certain period of time, and there is no evidence of fraud or duress in reaching that agreement, then no. If the court orders alimony on its own, then a spousal maintenance award can be modified. In Banks v. Banks, the Indiana Court of Appeals upheld the trial court’s modification of an award of spousal maintenance. Specifically, the Court of Appeals held that the evidence justified reducing the husband’s physical incapacity spousal maintenance obligation from $500 per month to $40 per week because, since the divorce, the wife’s financial situation had slightly improved while the husband’s had considerably weakened as a result of factors beyond his control, namely, his own chronic illness. How much are typical alimony payments in Indiana? There is no clear answer to this question. Unlike child support, there is no divorce alimony calculator that could determine the amount of a potential spousal maintenance award. If the parties do not agree on amount, and the trial court agrees to award spousal maintenance, it will be based on the evidence before the court. Medical bills, education level, cost of further education, cost of caring for a child, household bills, amount of property settlement received, income levels and more can all be considered by the trial court in fashioning a spousal maintenance award. As you can probably tell from the case law above, the determination on whether to award or deny spousal maintenance or alimony in Indiana varies greatly. This uncertainty makes people feel unease regarding their divorce as both parties generally like to know what to expect. Each divorce case is very fact specific. If you have questions about spousal maintenance or alimony in Indiana, you should discuss your case and legal strategy with an Indiana Family Law Attorney who understands these issues, the Indiana Rules of Trial Procedure, and the Indiana Rules of Evidence. Avnet Law offers free consultations for new clients. Call 1-877-77-AVNET to schedule your consultation or contact us below with any questions you may have about spousal maintenance in Indiana. We can also help you with any other family law legal issues you may be facing.